The SUV runby at 45 minutes. The tank runby at 72 minutes. The tank with 296 kills. Hanfy asks "are you having fun". 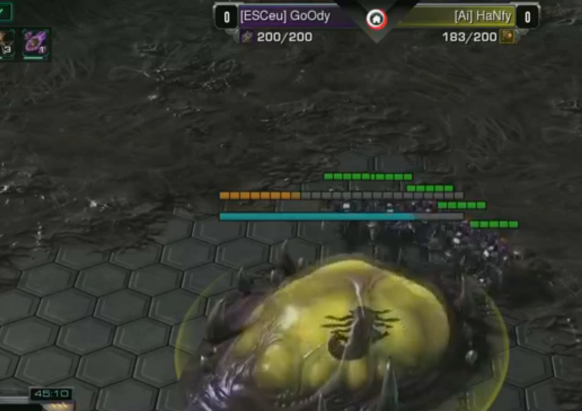 Goody 1-0ed FXO.Lucky, and then 2-0ed HappyZerg in 3 classical, really awesome eternal Goody matches in the ESET cup. that was sick. goody, mech it happen! Yeah, an unexpectedly awesome casting evening. It gets betting with understanding the German cast, as the two guys love Goody & despair because of him at the same time. 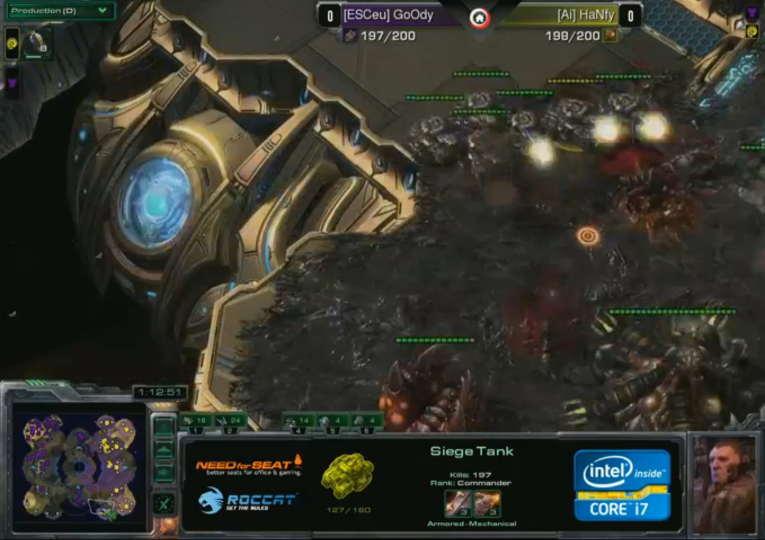 Just looked up aligulac stats, Lucky has a 1604-rating, Hyppayzerg is at 1196 and hOpe at 1140 (all vT). I think beating all three of them might be enough to fianlly get above 1200 again for the first time since summer last year, if he beats Bly as well, it should be pretty much guaranteed. He really understands how to use/derive a benefit out of those hots energy units. Mass scan, ravens and banshees. Always small high tier unit squads to take out/deny bases. Impressive how he handles his army. Keep on owning! Man, Goody is on a roll today! 1-0 vs Bly in the Finals atm. Okay. 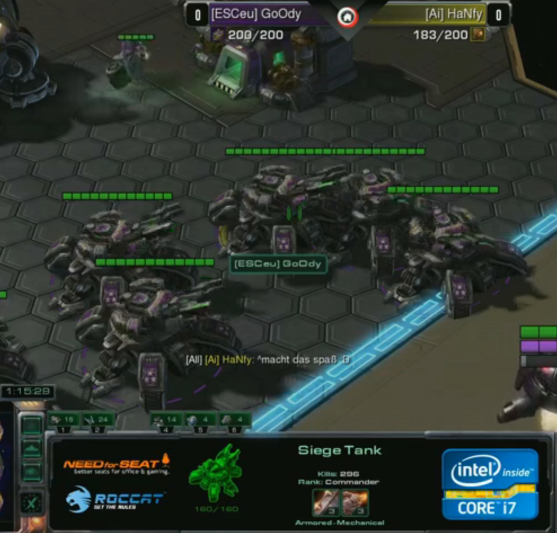 That were the most and best placed blinding clouds i've seen so far, and dat tanks don't care! If you are talking about the final engagement, at that point Bly was about 30 supply down and about 40 workers up, which means, that he had 70 less army supply. Vipers are´nt suppussed to equalize a difference that big, even if they are used well.